Sadia Iqbal is the Director of Data and Analytics at 270 Strategies. In this role, she oversees all analytics engagements, tools, and platforms. She uses innovative strategies to measure audience impact and provides our clients with actionable insights into their data. She got her start in data during President Obama's 2012 campaign. A self-proclaimed mega-fan of the President, Sadia quit her job at a prestigious law firm and took an unpaid internship on the campaign. It ended up being one of the best decisions of her life and she spent the next year working out of the analytics "cave" at the Obama campaign headquarters. After Obama’s re-election, she remained in democratic politics, with stints at the White House and the Democratic National Committee. 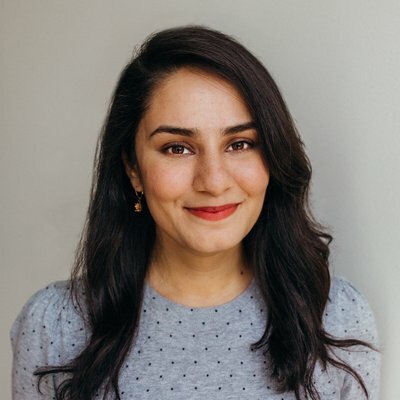 In 2015, Sadia was one of the first members of Hillary Clinton's presidential campaign, working out of her personal office before serving as the analytics team's chief of staff. Over the course of the 19-month campaign, Sadia helped grow the analytics operation to a team of nearly 100 data scientists and analysts. In between presidential campaigns, Sadia took a lot of naps, learned to love kale, and got a Master’s in Public Policy from the University of Chicago. She lives in Chicago and likes to spend her free time volunteering with RefugeeOne, cuddling with her 1-year old nephew, and beating everyone at Game of Thrones trivia.